I’m so excited to share this giveaway with you! I was lucky enough to be sent a mixed box of Caajoo Bars from the wonderful @rajivshah. Now is your chance to sample the yummyness! All of the bars are handmade and in the most fabulous packaging. A lot of Love has been put into their development and it shows………. Using the best ingredients, the bars are slowly made by hand. The bars take about three days to make. All the packaging is made in-house too, to keep waste to a minimum. It’s completely plant based including the inner wrapper and home compostable. The flavors are as follows Cacao nibs/Aniseed, fennel & cardamom/Lemon & ginger/Hint of peppermint/Sea salt. They are all truly yummy! To have the chance of winning one of three Mixed packs, simply click on the link below and you will have up to 6 chances to enter! Winner announced on Friday 12th February. UK only sorry. Click the Link below to enter our Fab 10k celebratory giveaway! It’s live now!! You have a week to enter. Win goodies from British Quinoa, Hodmedods and Spiced! 14th May 2015 #veganpackedlunch theme. This was a busy theme! It was lovely to catch up with you all and to see what delights you had to offer to the Twitterverse! Sometimes taking a packed lunch can be a bit drab and boring….the same thing every day..yawn.. Here are some amazing alternatives to wow everyone with! We kicked things off with this photo from @Veganlass1. It went down a storm and made all of our bellies growl! mmmmmm vegan sausage sandwich….Although we do have a rival with this Best vegan sandwich ever from the peeps at A Virtual Vegan. Loving this Curried mango chickpea salad from @greenpeanation. Yum! They also offered us these beauties… well, as you are offering. Let is never be known that I have turned down a biscuit! Many thanks to @leicVeggie for sharing their Banh mi wrap. Another wrap here from @lifefood. This time its a Cabbage and red Quinoa wrap. Or some lovely Courgette Kelp rolls? Thank you to @Fettlevegan for their Mediterranean pesto wrap. This Raw courgette Hummus from @apriltui sure sounds tasty. Or a lovely Caramelised onion Hummus shared by @myfruitykitchen. wrap. Another lovely idea from @lottielovefood. The Brilliantly named Chick-a-wow-wow dip! or this totally tasty looking Red pepper cashew cream. Yummy! How about Yoghurt Parfait with Granola and raspberries! Shared by @Mel00. To round it off! April Menu brought to us by the lovely @feedingjackson. Spicy, sweet, savoury and satisfying these tasty lettuce wraps make the perfect low-carb vegan lunch. The seasonings can easily be adjusted to your liking. If you aren’t that into spice then cut back on the chili paste but try not to leave it out entirely — it really adds to the overall flavour of the wraps. Heat the oil in a large skillet over medium heat. Add the garlic, ginger and chopped onion and cook for about 10 minutes or until everything softens and starts to brown. Add the carrots and the mushrooms and continue cooking until the vegetables are tender. Add the tofu. Cook for a few minutes longer, stirring constantly. Add the soy sauce, peanut butter, sesame oil and chili paste. Stir to combine. Transfer to a serving bowl. 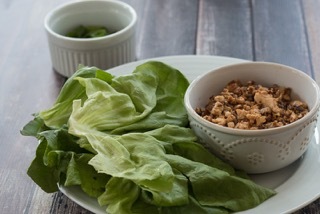 Fill the lettuce leaves with the tofu mixture. Top with your choice of garnish. 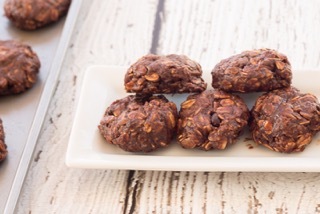 Easy and versatile these healthy treats are filled with good-for-you ingredients and can be adapted to fit your tastes. Substitute the raisins and/or coconut with any of the suggested add-ins or come up with a few of your own. Continue cooking over medium heat until the mixture comes to a low boil. Remove from the heat and add the following ingredients, mixing well using a wooden spoon. Using a small scooper roll the mixture into small balls and place on a cookie sheet flattening slightly with the palm of your hand. Place the cookies in the refrigerator or freezer for at least an hour until firm. They keep best stored in the refrigerator and served cold. The theme on 16th April was #Broccoli. Did you know? Over 30,000 #broccoli plants can grow on 1 acre of land!? I was surprised at how busy it was! One of those hours filled not only with recipes, but also fabulous conversation. if I ever feel a bit down on a Thursday, you guys always bring me back up again. Thank you for that! Lets have a peek at some ideas. Very apt to start with this as I’m actually having something similar for my Tea tonight! Thank you tot the ever generous @Ephemerienne for sharing her Stir fry with Broccoli recipe. (Google translate) I love this idea for Pasta shells filled with broccoli/pumpkin. Well worth a look! How about this gorgeous idea? or a ‘Chicken’ and broccoli pie? Potato Puree with broccoli. Lovely! Broccoli Mousse sounds great! Broccoli of the Rising Sun sounds awesome! Loving the colour of this Broccoli soup! Thank you @grainofsaltblog. Another soup here from @Fettlevegan Broccoli and ‘cheeze’ soup. Yum! #Broccoli is: Very high in vitamin A Very high in vitamin B6 Very high in vitamin C Very high in dietary fibre Very high in potassium. Just a few gorgeous recipes to keep you going! 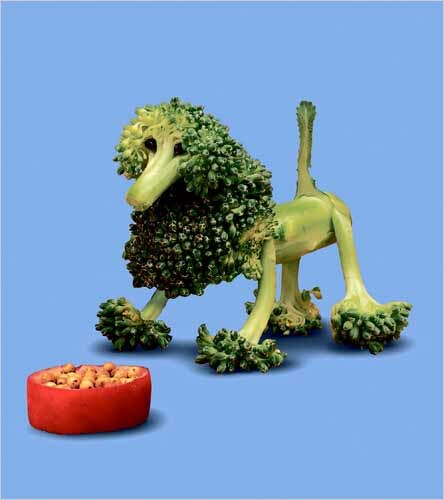 Oh almost forgot….Ultimate Vegan pet? 2nd April #veganpizza!! Nom nommmm!!!! 9th April change of theme due to unforseen circumstances. Its now….Tweet what you eat! #veganfoodisawesome! Share your foodie photos! 16th April #broccoli soups, quiches, juicing…how do you eat yours? 23rd #vegasnstgeorge celebrating all things English on St George’s day!! 30th #asparagus its in season now! We had a wonderfully busy night . I had a real struggle keeping up!! Its fab when its like that though. I do however miss conversation, which is sad. Don’t ever think I’m not interested! I’m just struggling with finger cramp 😉 . This theme is very close to my heart. When I first started blogging, my focus was (and still is) budget meals. I think sometimes selling vegan food as a ‘special diet’ puts people off. It also scares people away from attempting to make a vegan meal. There’s really nothing ‘special’ about it (allergies etc not withstanding) its just great food without the cruelty! No animal products. Of course you can buy lots of nice ingredients and treats but the basic tasyness is very simple and inexpensive. This is my Full bellies on a budget blog! Packed full of tasty inexpensive recipes! Let’s have a look at some recipe suggestions! I even had a budget meal to celebrate the theme! This stew cost under 50p a bowl! @yogivegetarian has a fab Vegan on a budget blog, crammed full of handy hints and tips! Love this guide for making tofu. Back to the seitan here! But this’d time using Aldi’s own flour! I love the look of this seed and carrot roast loaf from @sentientchef along with this carrot and ginger soup. Another lovely blog to look through here from @wholeingredient. Lots of lovely recipes to suit every budget. You can find recipes such as these chocolate orange brownies and this granola. Or a spinach chana masala. Yum! Spiced chestnut soup. Soup is always a hit here! 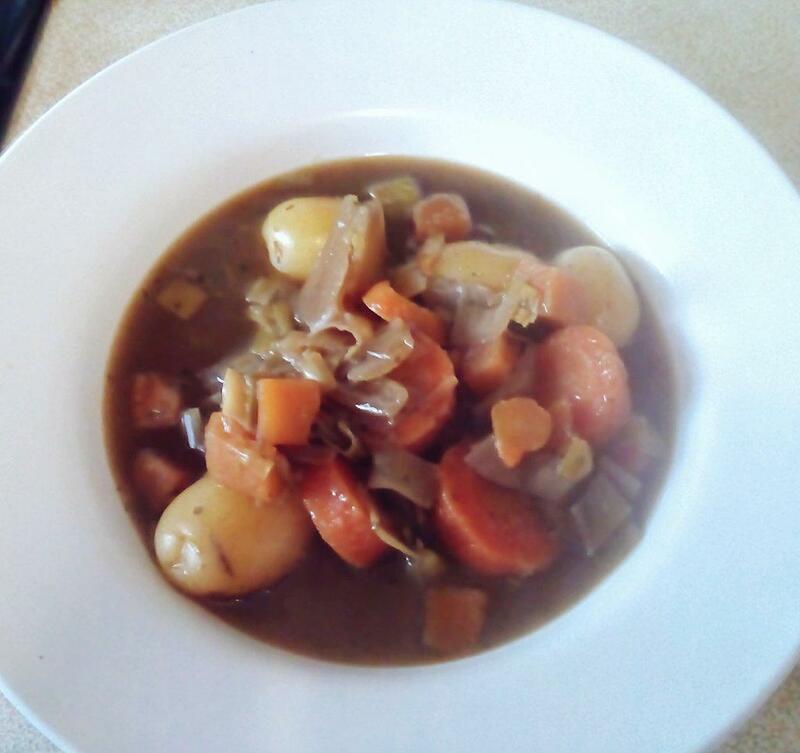 Check out this leek and potato tastiness from @fettlevegan. Have a peek at this 6 later taco pie! Wow! One of vrh’s familiar faces is @rawveganista. Make sure you take time to look through her absolutely amazing blog. Overflowing with raw foid inspiration. I can’t put into words how exciting her food is!! 25years of Veganism is something to be celebrated I’m sure you would agree! For example, look at this raw vegan butter! Loving these frugal recipes shared by @veganfamily. Also this amazing selection of soups. Another soup from @ephemerienne garlic soup sounds tasty! How about some bread with that? Love this black bean and spinach chilli from @jasminetrinity. To find out what Silken Tofu is click here. Short but sweet! For more tweeted recipes, have a look at @veganrecipehour! Due to popular demand, the #veanrecipehour theme was Beetroot! I’ve always been a big fan of Beets. I have a particular soft spot for pickled beetroot with a salad. I also like them roast with other veggies. They are also awesome in cakes and lend a lovely shade of purple to icing! Here is a great article by @sentientchef about the benefits of Beetroot. Thank you for sharing! We even have a soundtrack courtesy of @VeganDisco! You can’t go far wrong starting with cake!! Thank you to @ShonalikaTilak for sharing this Beautiful Chocolate, Banana, Beetroot cake. @FettleVegan uses beetroot juice in these super fab looking Orange cream filled chocolates Yum! Ever heard of Beetroot powder? Have a look at this amazing cake from @elliesrecipes. How gorgeous is that!??! I love the idea of these Beetroot truffles from @Botanicalbaker! I’m loving the idea of this Beet Kvass Fermented Elixir from @AnnieLevy121. Super dooper Probiotic goodness! Or how about a Sweet beet Smoothie? Burger anyone? Brown rice, beetroot and walnut burgers from @fullbelliesOAB. This is an awesome sounding (and looking) Pizza from @FettleVegan. It’s Roast Beet, blood orange and fennel! Wowee! How gorgeous does this salad look?! Beetroot and peanut salad from @YogiVegetarian. I’m also loving the look of these baked beets with cumin. Yum! Thank you to @VeganLifestyleAssoc for sharing this idea for a Kale wrap with beetroot. Tasty! Another one from them in the shape of a Beetroot and chilli burger. Loving the look of these Sweet Stuffed Pepper with Beetroot and sunflower seeds! Thank you to @Sentientchef for sharing. Also shared was this ginger Beet salad. It was nice to tweet @Wrappedinpaper and to read their recipe for Celeriac and marinated Beetroot salad. Or a lovely Beetroot risotto? Or another lovely Chocolate cake! I spied this recipe for Roti’s and can’t wait to try it out! For more fabulous recipes, check out the @Veganrecipehour Twitter feed! Here is the list of this month’s themes! 12th March #SilkenTofu Just silken tofu recipes please. This type of tofu seems to be sold in all sorts of shops and is often mistaken for the firm tofu. Let’s see what we can use silken tofu for! 19th #veganonabudget What are your best low cost recipes? What food is best value for money? Share your hints and tips here! 26th #Applerecipes Looking for sweet and savoury dishes here please! Yum!